KPM Restoration is a restoration company that provides mold removal services in Albany, Troy, Schenectady, Saratoga Springs, Glens Falls, and the surrounding area. We believe in honest, extensive mold removal. That not only includes removing mold, but identifying and fixing the root cause of the mold problem. That’s why we created this guide. 1. 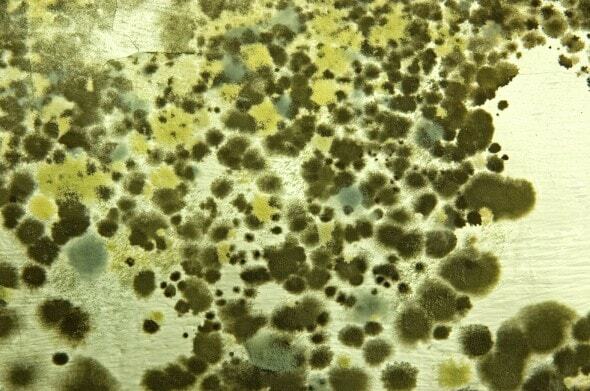 Molds are living microorganisms and forms of fungi with over 100,000 species that come in many shapes and colors. 2. Most of the information you find on internet on black mold is incorrect. The color of the mold to the naked eye does not tell you whether its toxic. 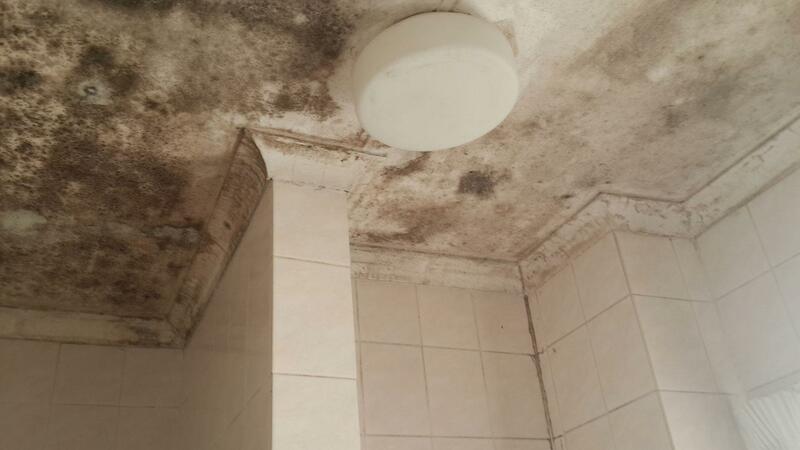 Black mold refers to molds that can produce mycotoxins, such as Stachybotrys. That being said, black molds do not always produce mycotoxins. It’s also worth nothing that mycotoxins can be produced by other types of molds besides Stachybotrys and these molds are not always black. All visible molds, despite the color, should be removed. 3. Molds spread by releasing airborne spores that find their way to a habitable areas. Molds can grow on nearly anything, such as drywall, insulation, tile, metal, and wood. If sufficient water is present, the mold grows into active colonies and releases spores into the air to further reproduce. Colonies can grow within days. 4. There aren’t federal guideelines regarding what is considered an unsafe level of mold. However, a good rule of thumb is if you see or smell mold in your home, you most likely have a mold problem that should be removed as quickly as possible. A home will continue to have low levels of mold even after mold removal and mold remediation is finished. 5. Exposure to mold can cause allergies, fatigue headache, runny nose, and dry throat. Those with compromised immune systems such as the elderly, children and people with autoimmune disorders are at higher risk for the common symptoms associated with mold. 6. Many homeowners’ insurance policies specifically list mold as an exclusion and will not cover mold-related claims. However, some insurance policies that will cover mold claims. If you want mold insurance, ask for it, and review your policy carefully to make sure you understand what is and is not included. Many restoration companies will be able to work with your insurance company to help process the claim. 7. All mold should be removed in the same manner regardless the type of molds identified from testing. – Assessment: Preliminary assessment, an assessment during the remediation process and an assessment post remediation. – Contamination Control: Prevent contamination and the spread of mold from contaminated areas to other parts of the property. – Eliminate moisture: Address the moisture problem that caused the mold outbreak. 9. After mold is removed from its source, the air needs to be purified of airborne mold spores with High Efficiency Particulate Air air scrubbers and air exchange. Regular air filters will not work, they must be HEPA filters. 10. Mold remediation is not always expensive. Sometimes, minor mold problems (less than about 10 square feet of mold) in places like a bathroom corner can easily be handled with few basic supplies from the hardware store. Do I Need Professional Mold Remediation? 11. Proper safety gear should be worn when dealing with mold. A high quality, high filtration face mask is a must, as are vinyl or neoprene gloves. A full protective suit is recommended when using harsh chemicals and for larger mold remediation projects. 13. Mold professionals use “negative air” containment, which is created by positioning blower fans and using air pressure machines to bring clean air into the contaminated space and push contaminated air outside the home. 14. Most mold professionals use some sort of antimicrobial chemical to actually clean the mold and mold stains. 15. Sometimes it is necessary to have your HVAC air ducts professionally cleaned since air ducts can collect dust and mold spores. 16. Often mold can destroy drywall, wood, and insulation which will need to be replaced. Many remediation companies can take care of the reconstruction processes as well. 17. Sump pump failure can result in flooding throughout your basement. Basements can be very difficult to dry out properly and quickly, which creates an ideal environment for mold growth. 18. When basement flooding occurs, you must dry it out immediately or basement mold will occur. This requires powerful fans and dehumidifiers. Lifting up carpeting and cutting holes in drywall might be necessary to properly dry and prevent mold growth. The longer you wait, the more costly the mold removal and mold remediation project will be. 19. Mold in basements can also be caused by cracks in the home’s foundation. Cracks should be filled immediately or else you risk a much costlier problem in the future. 20. Homeowners should check their basements regularly for water spots, and air it out to reduce the chnce of basement mold growth. 21. Keep your basement free of clutter. Too many items can block the flow of air and reduce ventilation. Things such as clothing and books stored in the basement are food for mold and mildew. 23. Be sure to have proper insulation and ventilation in your attic. Attic mold problems are difficult and expensive to fix. If you have attic mold, you should consider discarding the attic insulation because mold spores will have likely settled on. 24. Most attic mold problems we see are not caused by roof leaks but by attic (soffit) vents being improperly covered by insulation. Without proper ventilation, moisture gets trapped in your attic and leads to mold growth. 25. Check on your attic at least once every three months so you can catch any problems early before they get to be too big and expensive. 26. Make sure plumbing stacks, and vents of any kind (e.g. from kitchen, bathroom, clothes dryer, etc) terminate outside your house, not inside your attic. Otherwise, moisture and hazardous gases in the plumbing vents can build up in your attic, leading to mold growth. 27. Mold has killed countless real estate transactions. Prevent this from happening to you by checking your attic and crawl space at least once every three months. 28. Mold in a crawl space is as common as in any part of your home due to the high moisture and humidity levels often found in these spaces. A vapor barrier on top of a dirt crawl space beneath your home is a must if you want to prevent mold growth. A vapor barrier is usually a thick piece of plastic that covers the dirt under your home. 29. Make sure there are no holes or cracks in the ceiling of your crawl space. These holes can be a gateway for mold and water transport from the crawl space to your living area since air rises. 30. Kitchen mold and bathroom mold can often be found under sinks because of small leaks due to using cheap plastic plumbing materials. 31. If you smell a musty odor near you sink but don’t see any water or mold, you could have a plumbing leak behind the drywall. 32. Mold around the bathroom tub is the most common type of mold problem in the home. This mold problem is most commonly due to improper ventilation. Put on a fan, open a window, or keep your bathroom door open every time you shower so the room can dry out. 33. If you have mold in or on the caulking around your tub, it will probably be difficult to bleach, so you should strip and re-caulk it. 34. Home mold kits found at hardware stores don’t provide much value. These tests tell you the types of mold you have, but will not quantify the amount of each mold species found. Since mold is found in every home, knowing you have mold is not especially helpful. The kits don’t help you locate the problem or tell you if it’s serious or not. Rather than spending your money on one of these kits, if you can already see mold, you need to have it removed. 35. We recommend the use of HEPA (High Efficiency Particulate Air) vacuums for your home. HEPA filters trap the small particles, including mold spores, which collect in your carpets. Only HEPA filters are designed to capture small particles like mold spores. Regular filters will not work. 36. Small HEPA Air purifiers are available at most hardware stores and Amazon for around $100 and are effective for cleaning the air in small areas. Most will remove more than 99 percent of the particulate pollution, including mold spores. 37. Industrial strength HEPA air scrubbers can clean a whole house in a hours, but they can cost more than $1,000 and are intended for professional mold remediation. 38. Dehumidifiers, which cost around $125, can be great for controlling humidity in basements. 39. Moisture meters use a weak electrical current to measure how much moisture content is on a surface. Your walls and floors should have zero moisture content. If the moisture meter indicates that moisture is present you could have a water problem, and also a mold problem. 40. Hygrometers are inexpensive instruments used to measure relative humidity levels and can be purchased at hardware stores or Amazon. We recommend purchasing one because high humidity can lead to mold. 41. Most mold stain removers contain bleach mixed with other chemicals. These cleaners can be effective at cleaning minor mold problems. However, killing mold and removing it from the surface won’t stop it from reappearing. You must find and fix the water source or the mold can return. 42. There are chemical products that help encapsulate mold. These products should be used after a separate anti-microbial is applied to kill the mold. The encapsulants act as a secondary layer of protection. 43. One common method of spreading encapsulating chemicals is fogging, which is usually done in tight spaces such as attics and crawl spaces. Fogging creates a mist that coasts surfaces. 44. To keep clean air in your house, plants such as the peace lily and spider plant help reduce levels of mold spores that grow in the home by absorbing those spores through its leaves and then circulating them to the plant’s roots where they are used as food. 45. The most effective strategy is prevention. Keep a clean house with plenty of fresh air, and regularly check for potential water problems, including those in infrequently used parts of your home. Remember that cleaning mold does not stop mold growth. Moisture control is the key to mold control. If you have a mold problem, you must fix the water problem or the mold can return.